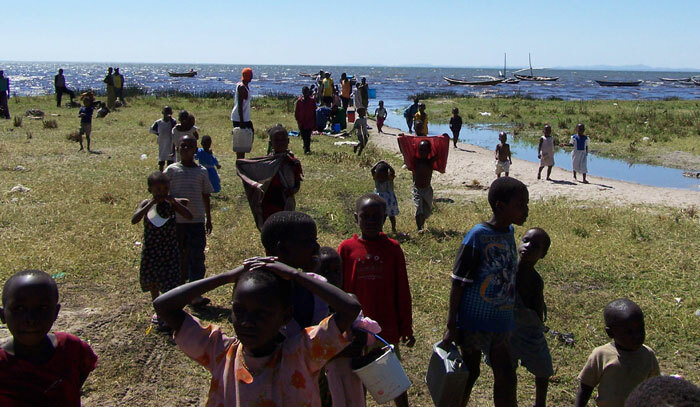 The first set below was taken on the shores of Lake Victoria, the second-largest freshwater lake in the world. Going there wasn't a scheduled part of the itinerary, but since we were so close Bacardi took us to a small village affectionately called "J's Paradise". He said they'd go months at a time without seeing mzungu (Swahili for caucasian or foreigner), and our presence there caused a stir. The children all rushed close to hold our hands and before too long someone who seemed to be a village leader came out to offer us a tour - for a price, of course. We declined and only stayed a little while, but that was long enough to sense the mystique of the place. 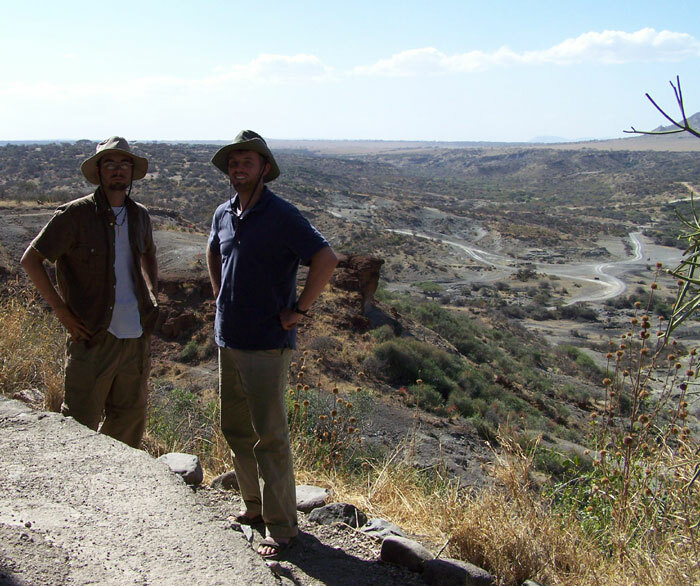 After leaving Lake Manyara and the Serengeti we set out for a brief stop at one of Africa's best archaeological sites - Oldupai Gorge (often spelled Olduvai Gorge). 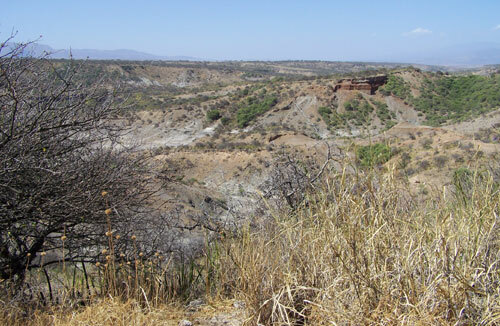 Just northwest of Ngorongoro Crater, the gorge is perfect for fossil research because of layers of volcanic deposits that help document ancient life. The most famous fossil found there is the 1.8 million-year-old ape-like skull known as Australopithecus boisei (sometimes called nutcracker man), which was discovered in 1959 and helped set off a huge debate over human evolution. Later in the early 1960s the first pieces of Homo habilis were discovered and, in 1972, 3.75 million-year-old hominid footprints were also found. 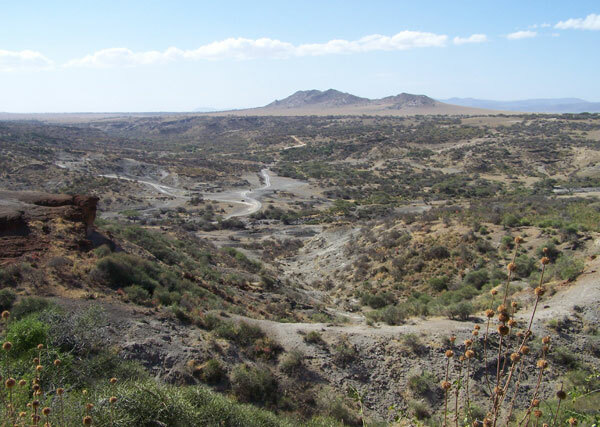 Because of these and other discoveries, the area (pictured below) is sometimes referred to as the "cradle of mankind." 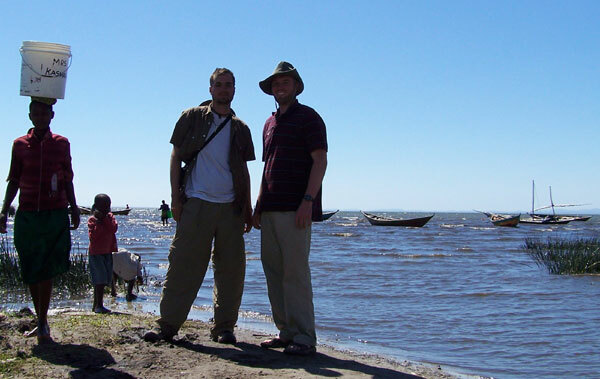 We ended our safari with a visit to Lake Manyara, a small but ecologically diverse park. It's well known for its large flamingo population, and the first picture below is of those. 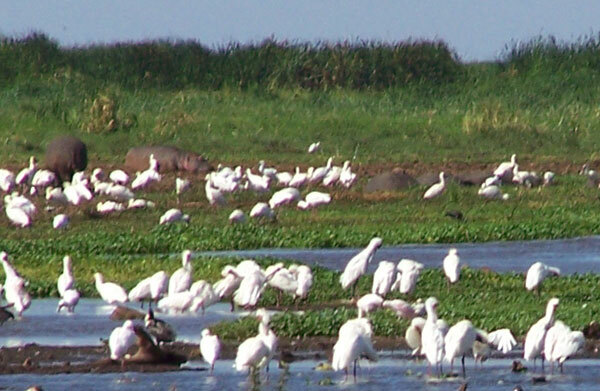 Hippos can also be spotted toward the back. 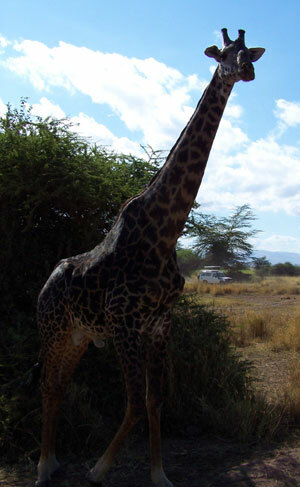 We saw a number of giraffe and the second photo shows an older male who came right up to our vehicle. 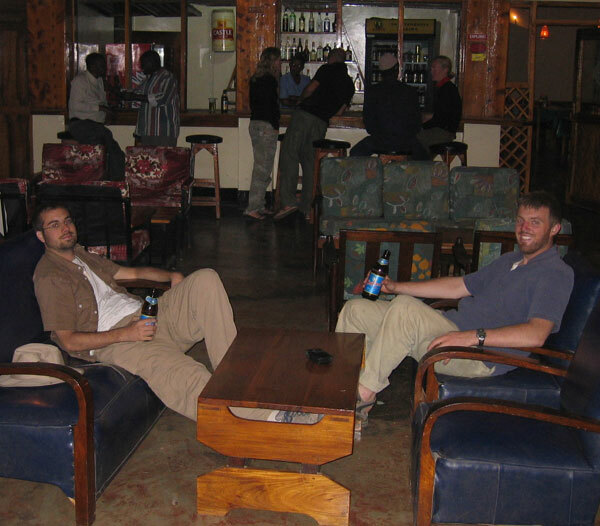 The third picture shows a rare instance in which we had a lodge and beer to enjoy. Of course, we still slept in tents that evening. 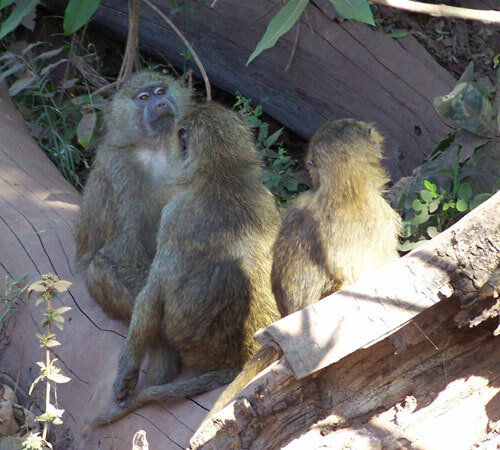 The last and final picture below is of monkeys taking time to groom each other.